Posted on April 23, 2015 by Notorious B.U.D. Posted on December 19, 2012 by Notorious B.U.D. The walls are moving in and Jason Vargas is moving out. In a typical tight-lipped Jack Zduriencik move that developed seemingly out of thin air, the Seattle Mariners agreed today to ship their number two starter to the L.A. Angels in return for 1B/DH Kendry Morales. Vargas has been a serviceable starter for the Mariners the last three seasons, averaging innings and posting ERA’s of 3.78, 4.25, and 3.85. He’s a gritty pitcher with good control, but his so-so stuff, gopheritis (35 home runs allowed in 2012), and increasing salary made him a likely target to be moved this off-season. 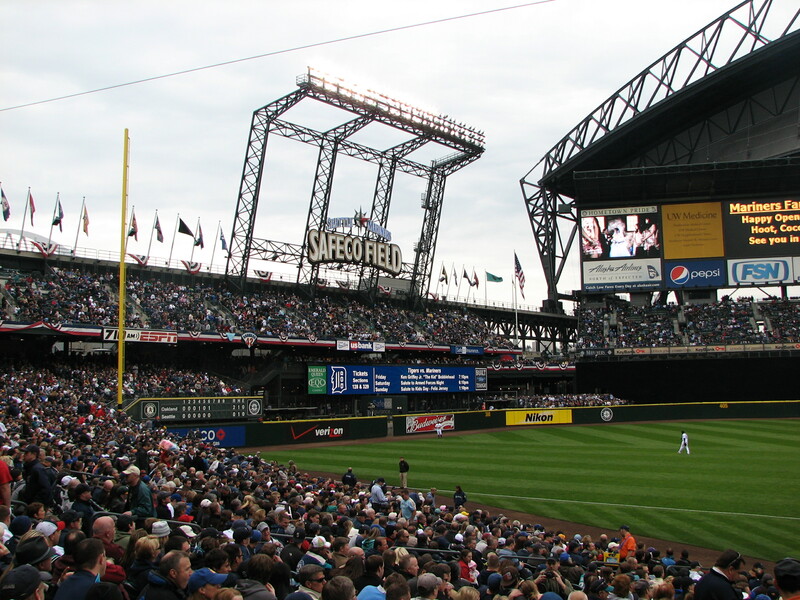 Vargas has always been a pitcher who benefited from Safeco’s spacious dimensions (2.74 ERA at home vs. 4.78 ERA on the road last season) and with stadium alterations in place for the 2013 season, the Mariners likely sold Vargas while his value was at its peak. Trading within the division isn’t a common occurrence, but the Angels needed a starting pitcher to round out their rotation and had a glut of 1B/DH players on their roster, making Morales expendable. The switch-hitting slugger posted a triple-slash of .273/.320/.467 in 2012 and added 26 2B, 22 HR, and 73 RBI in his first season back from a horrific injury suffered in 2012 against, you guessed it, the Seattle Mariners. Morales finished 5th in the AL MVP vote his last full season (2009) and finished 2012 strong, posting OPS’s of .900 in August and .829 in September/October. While the trade makes sense for both sides (and both players are free agents after the season), it doesn’t come without some inherent risks. The Mariners are leaving a gaping void in their pitching staff behind Felix Hernandez, and will be counting on young players like Erasmo Ramirez, Blake Beaven or James Paxton to produce at the big league level. Los Angeles is gambling that Vargas can produce away from the friendly confines of Safeco Field and that Morales won’t return to his pre-injury form. Seattle’s net gain is somewhere close to zero in terms of WAR, but the team does add some desperately need offensive thump to the lineup, and may be setting themselves up for another move with Morales/Smoak/Montero all competing for plate appearance at first and DH. 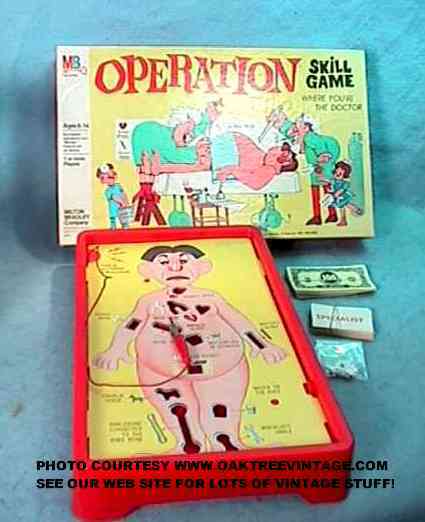 The Future’s So Bright I’ve Got to Wear SPF 15: A Largely Uneducated Look at the Seattle Mariners’ Top Ten Prospects (Part II). Posted on February 11, 2011 by Notorious B.U.D. 5. Guillermo Pimentel–OF–(.250-6 HR’s-31 RBI’s-5 SB’s-.276 OBP-.727 OPS): Guillermo Pimentel was signed out of the Dominican Republic in 2009 at the tender age of 16 for $2 million dollars (I made $7.56/hour at age 16 so I can certainly relate) and was considered by many scouts to be one of the best international bats available at the time. Pimentel has an advanced approach at the plate for a teenager and his compact swing and power potential gives him one of the highest ceilings of any Mariners’ prospect. Though he struggled in his first season of pro ball (58 K’s/5 walks) Pimentel just turned 18 and has plenty of time to develop into a top-tier hitter for the Mariners. He doesn’t project to be any better than average defensively, but if his bat is as good as advertised, Pimentel could become the middle of the order threat that has long been absent from Seattle. 3. Nick Franklin–SS–(.283-23 HR’s-65 RBI’s-25 SB’s-.354 OBP-.841 OPS): A first round pick out of high school in 2009, Nick Franklin burst onto the scene last year with a 20 HR/20 SB season in the pitcher friendly Midwest League (it was the third most HR’s ever by a teenager in the MWL). Franklin is a well-balanced player with above-average skills across the board who could continue to develop more power at the plate as he fills out his lean 6’1″ frame. The confident almost cocky Franklin is a natural leader with a high baseball I.Q. and intangibles reminiscent of Derek Jeter. If Franklin can stick at shortstop he could be in Seattle as soon as 2012,= with an outside shot at a September call-up this season. The Mariners left many baseball experts scratching their heads when they selected Franklin in the first round back in 2009; now the same experts are wondering how so many other teams missed the boat on a future all-star. 2. Michael Pineda–SP–(11 wins-3.36 ERA-154 K’s/34 BB’s-1.11 WHIP): Largely unheralded coming into the 2010 season Michael Pineda ended the year as one of the top pitching prospects in all of baseball. 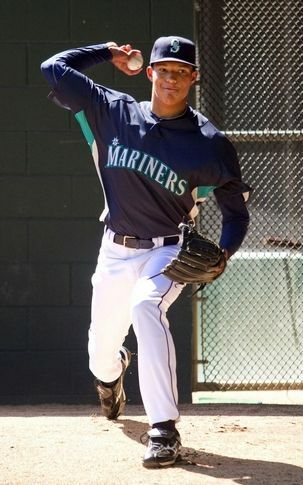 Signed out of the Dominican Republic at age 17, Pineda has progressed steadily through the Mariners’ system, posting high strikeout totals while maintaining a low walk rate. The tall, slender righty has an advanced repertoire consisting of a mid-to-high 90’s fastball, slider, cutter and changeup. There are some concerns about the health of Pineda’s elbow (he was limited to just 47 innings in 2009) which leads some scouts to believe that his future may be as a closer, although the Mariners intend to keep him as a starter for as long as possible. Pineda could likely do with some more seasoning in Triple-A, but unless you know something I don’t about Jamey Wright, he’ll likely start the year as Seattle’s fifth starter. There will be some ups and downs for Pineda in 2011, but the kid has got some serious talent, and will be a star by the time I learn how to properly use commas. 1. Dustin Ackley–2B–(.267-7 HR’s-51 RBI’s-10 SB’s-.368 OBP-.775 OPS): Owner of the sweetest swing in minor league baseball Dustin Ackley looks poised to step out of Stephen Strasburg’s shadow (though not a night goes by where I don’t dream of a King Felix/Strasburg starting rotation) and into MLB’s spotlight in 2011. Though his first year in the minors proved to be a bit rocky, Ackley showed marked improvement throughout the season, capped off by an amazing performance in the Arizona Fall League (.424-4 HR’s-19 RBI’s-5 SB’s-1.338 OPS in 66 at-bats for the Peoria Javelinas). Ackley was rated by B.A. 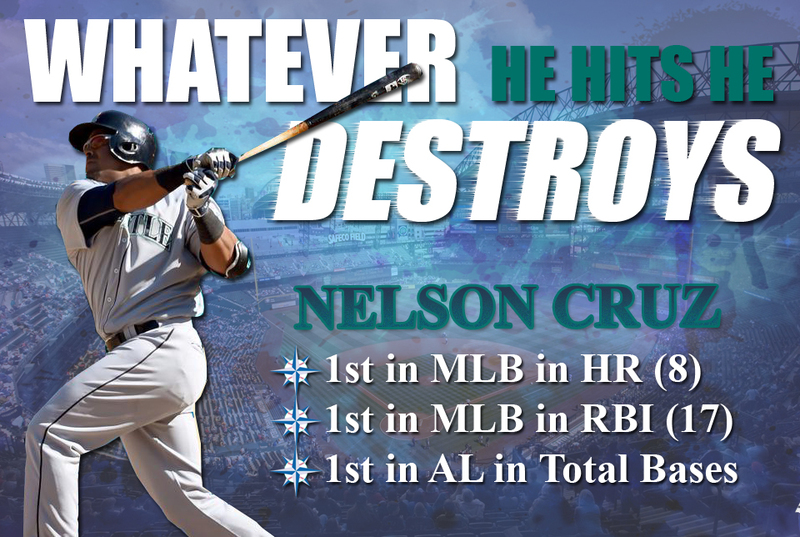 as having the best speed and contact skills in the M’s organization and if his doubles continue to turn into home runs he has the all tools to become a perennial 20-20 player for the Mariners (see Chase Utley Lite–all the great flavor, none of the guilt). 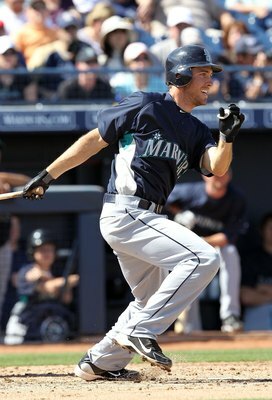 The Mariners’ second baseman of the future likely won’t start the year in Seattle in order to delay his service clock (giving the M’s an extra year of team control) but Ackley should be in the Emerald City by the end of May or beginning of June…just in time for the team to be eliminated from the playoffs. Posted on November 11, 2009 by Notorious B.U.D. If one year is good, two years is better. Welcome back Junior. It looks like Seattle Mariners fans will have to get ready for a few more standing ovations (though it’s highly unlikely they’ll mind) with today’s news that Ken Griffey Jr. has reached an agreement on a one-year contract with the Mariners. Exact terms of the signing have yet to be released, but the contract is thought to be similar to last year’s salary of $2 million plus another $3 million in incentives (ticket sales, merchandise, etc). A bargain at any price, bringing Junior to the Mariners was a no-brainer. 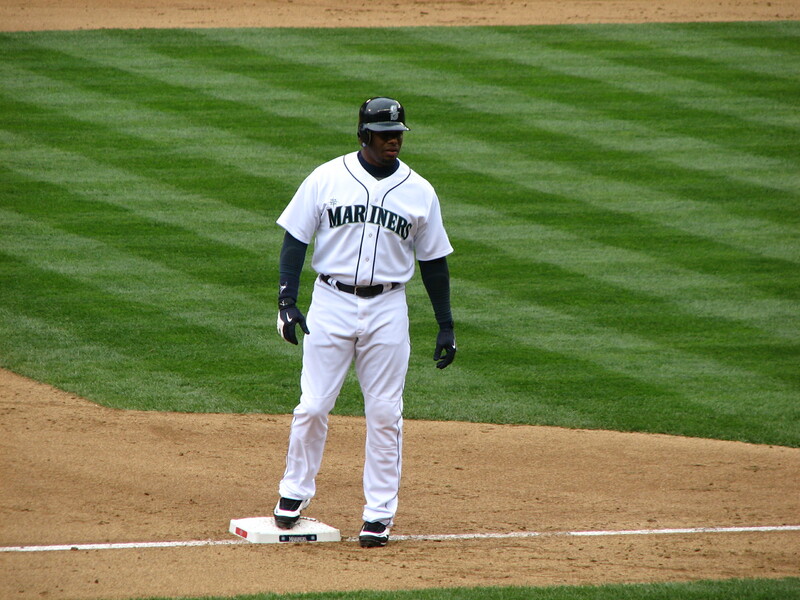 The Kid is an institution in Seattle, and although his numbers might not bear it out, 2009 was a rousing success for both Griffey and the Mariners. Griffey's not the only one smiling with the word of his return to the Mariners. –>Created neck-ties featuring manager Don Wakamatsu’s image and gave them to every member of the team to promote unity on road trips. He also handed out ties that had his picture and the words “World’s Greatest Teammate” on them. 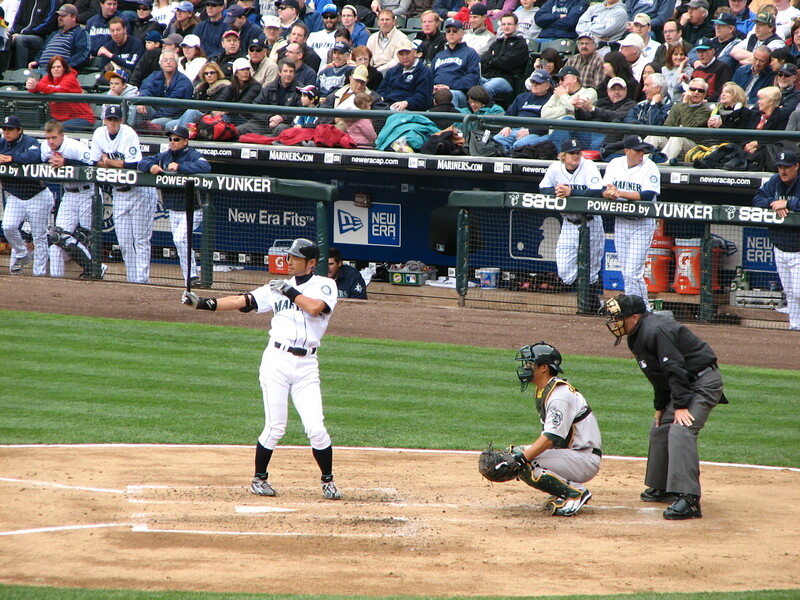 –>Hit 400th career homerun as a Mariner, becoming the first player in major league history to record 200 HRs with one team (Cincinnati) and 400 HRs with another (Seattle). 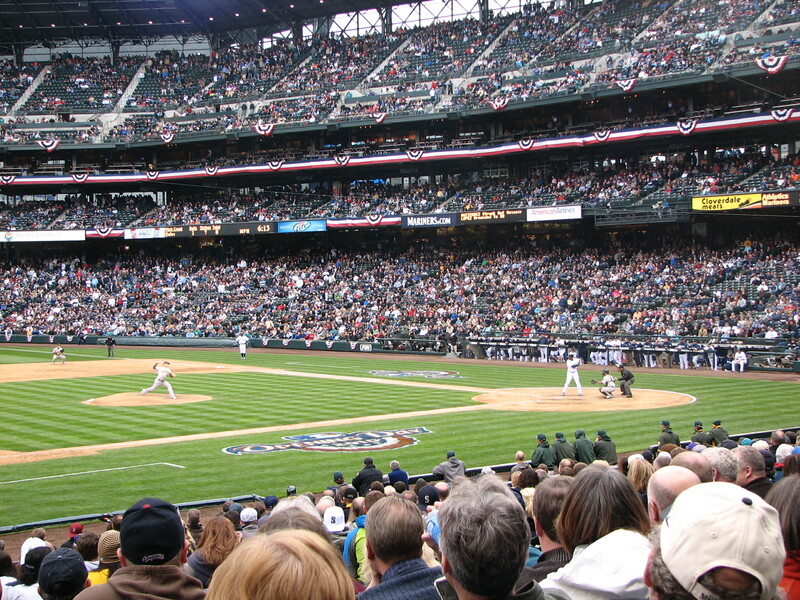 –>After Adrian Beltre returned from a freak testicle injury, Griffey had the P.A. play the theme to “The Nutcracker” on Beltre’s first at-bat back. –>Came through with a clutch pinch-hit, walk-off single against the Chicago White Sox in the 14th inning of an August game at Safeco. –>Homered in three of his last five games of the season, raising hopes for a return to the diamond in 2010, and finishing the year 5th on the all-time homerun list with 630 career longballs. Can Griffey finally capture a World Series in his last go-round with the Mariners? 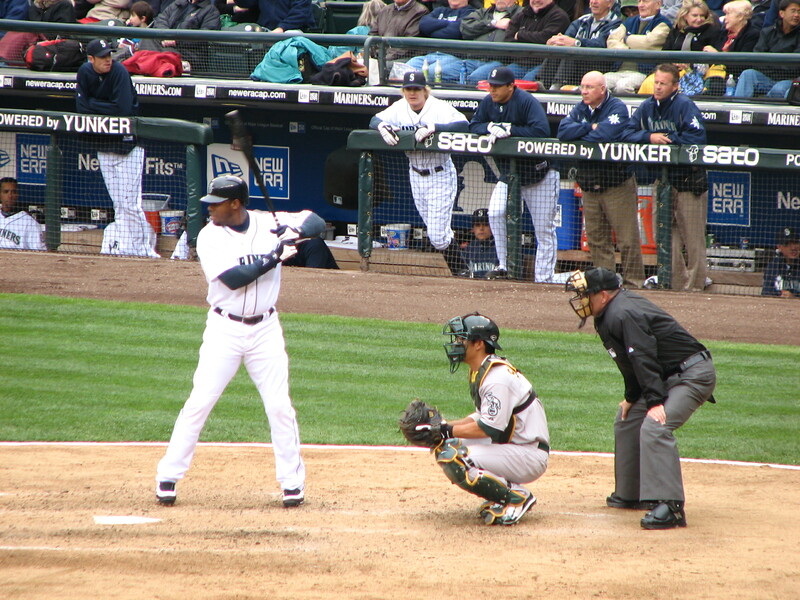 Does Griffey have anything left in the tank for 2010? He wasn’t great at the dish in ’09, finishing the year with a .214 average, but he still managed to hit 19 HR’s with 57 RBI’s and there is some optimism that Junior’s offseason knee surgery will help him to perform better next year. It’s unclear what kind of role Griffey will have for the Mariners next season, but his signing makes it unlikely that Seattle would go after someone like Hideki Matsui (another DH-type with bad knees). While some might argue that Griffey’s return will hinder the growth of Seattle’s younger talent like Mike Carp or Michael Saunders (players who would lose at-bats to Junior), the veteran seems content with whatever playing time he is offered, and could serve as a great mentor to the next wave of Mariners’ hitters (who better to take advice from than a first ballot hall-of-famer). Besides, Ken Griffey Jr. has done enough for the city of Seattle and the Mariners franchise (a virtual afterthought in the baseball world before he arrived) that he deserves to go out on his own terms. Think of him like Bobby Bowden, but without the straw hat, Southern accent and strong odor of Bengay. Two thousand and nine was a great year for the Mariners, climbing from the AL West cellar into playoff contention, and now with one more season of Griffey, Seattle has its sights set on a return to the postseason for the first time since 2001. M’s fans get another year with the greatest player ever to don turquoise (apologies to Muggsy Bogues) and Junior gets one last crack at that elusive World Series title, the only thing missing from an otherwise storied career. It’s been almost 15 years since the Mariners crashed the playoffs in 1995 and came this close to making their first Fall Classic. Can Griffey finally lead Seattle to the promised land and finish what he started all those years ago? Why not? 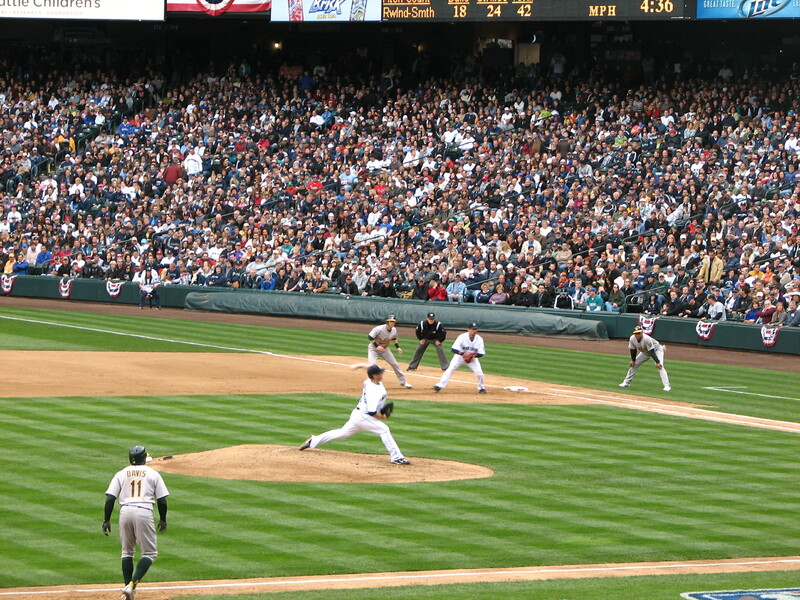 If Jack Zdrunciek signs some key free agents to surround Griffey, Felix Hernandez and Ichiro, anything can happen. Seattle’s favorite son is back where he belongs, and Mariners magic will once again sweep through the streets of the Emerald City. 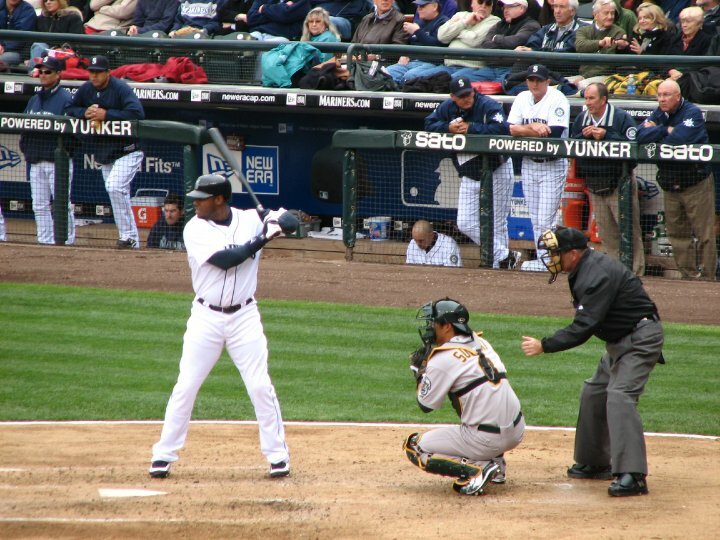 The 2010 baseball season can’t start soon enough in Seattle—Ken Griffey Jr’s back, the sun is shining and there’s reason to believe that this might be the most special year in the Mariners’ history. Let’s play ball!